In 1993, I self-published a book, Recipes for the Roommate-Impaired. It took approximately one year to go from idea to copy in hand. In 2012, I wrote and self-published an ebook, 25 Ways to go from Stepfather to StepDad. That took three months from conception to completion and selling my ebook on Amazon. Using Designrr—the best ebook maker online—I produced my next ebook, 15 Keep-it-Simple Tips for B2B Networkers in under an hour. Truth be told, the first draft took less than 10 minutes. The other 50 minutes were spent fine tuning. Now, I had a bit of a head start on that last project. 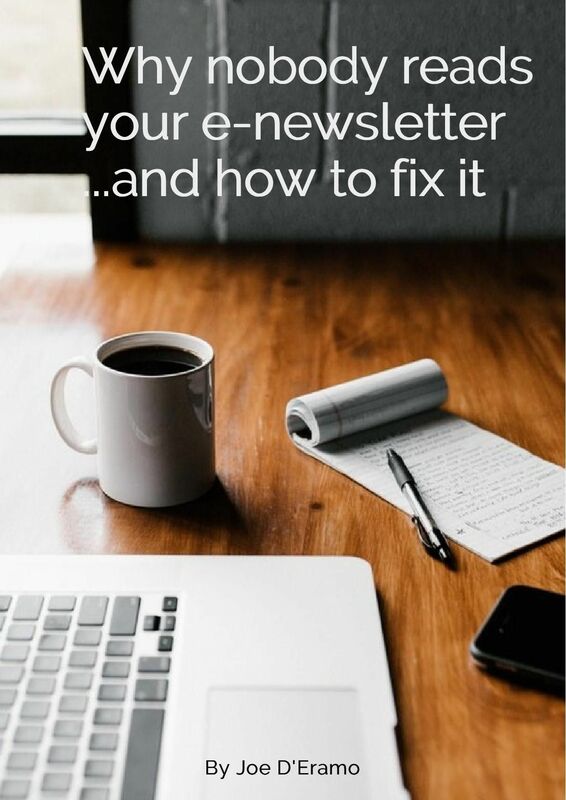 You see, the content for 15 Keep-it-Simple Tips for B2B Networkers already existed in a blog comprised of articles from a weekly e-newsletter I wrote for My Pinnacle Network. Designrr made it possible to simply select the blog posts I wanted to include and create an ebook in a very short period of time. It actually took more time to select the blog posts I wanted to include than creating the entire ebook. For the record, I’m not a designer nor do I play one on TV or any other place. Designrr makes it quite simple for the non-designer who’s capable of using a template to create a very professional ebook that you can then use as a lead magnet for your website or in several other ways to promote your business and enhance your online reputation. With Designrr, if you have a blog, you have the content for a book. Actually, that was Designrr when I first encountered it in 2017. They have since added functionality so that you can create an ebook out of a Word document, pdf or pretty much anything you can copy and paste. You can even make an ebook out of Facebook conversations. Really. Does that mean I like everything about Designrr? While this Designrr review might seem a bit more than glass is half full, there are some things that can use some work. Editing the text can be a little clunky. Essentially, you have to highlight the text you want to change. So, it’s a bit more cumbersome than editing text in Word. Still, it’s a small inconvenience for a product that makes it possible to become a published author with an ebook you can publish as a Kindle Book on Amazon within minutes. That’s right. One thing I learned in 2012 was to create a Kindle book, it must be in .mobi format. That’s not quite as simple as doing a “Save as..” in Word. In Designrr, you can do a Save As .mobi and have a Kindle book to upload and sell on Amazon in very short order. Two other features really stand out for me. One is the universal change feature. If you make a change to a header or footer, Designrr offers the capability to make that change throughout the document. The other feature has to do with the cover. With a great library of photos and very helpful tutorials, you can upload a cover photo that makes the reader want to download your ebook. It’s difficult NOT to be able to create a professional looking cover with Designrr. Two more points. First, the help. If you take one thing from this Designrr review let it be this. Designrr includes several helpful videos, articles and an FAQ section that makes it very easy to get the assistance you need. If that wasn’t enough, they also offer a semi-chat service at no cost. What I mean by semi is that it’s not live help, but it does not take very long to get somebody to respond to your request for help. Finally, price. It’s kind of a joke. But don’t tell them I said that. The basic price of $27 is an absolute steal if you are using it to create lead magnets for your business. If you are a copywriter or designer looking to add a service to your business, designrr makes it possible to add ebook publisher to your credentials and charge clients $300 or more for an ebook. And that’s if they have a blog to start with. If they don’t, you can make a whole lot more. The Agency version of makes it possible to create better, more professional ebooks. Frankly, I think it’s more of a steal than the standard version. Read my review of Designrr’s Agency product here. To see how easy Designrr is, check out the video by Designrr’s creator, Paul Clifford. If you’ve seen and heard enough, you can buy your copy of Designrr here. There’s no download or anything. It’s all web-based. Honestly, I call it the best ebook maker online because it is. See for yourself. Then write and publish your ebook today!